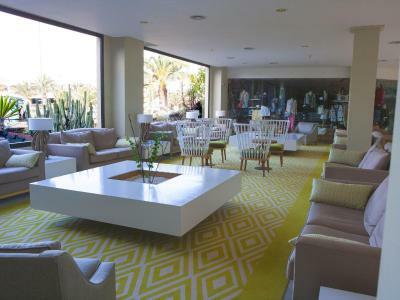 Lock in a great price for Grand Teguise Playa – rated 8.2 by recent guests! 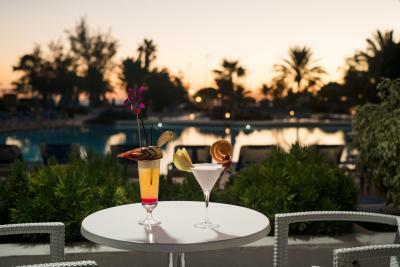 The quality and spacious poolside areas, the pools, the calm planted ambience when entering the hotel, the very friendly staff, the bar and cocktails, the location, the views from all sea view rooms. Everything ! Best holiday in a long time. I love this hotel. The hotel and staff were excellent. Extremely courteous and friendly. The food was varied every day . 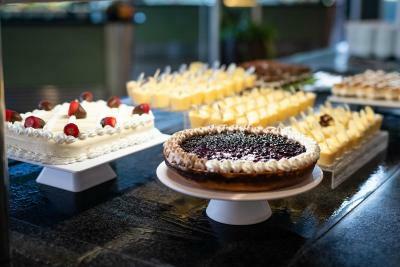 The breakfast was delicious, with lots of choices. Lunch and dinner was equally as good and food trays were topped up at all times. The location of the hotel is excellent, only a stones throw from the beach with a fabulous promenade to the left and right of the back gate. The view from the pool is directly towards the beach. There were plenty of sun loungers available . All areas, both inside and out, were kept spotless. The evening entertainment was quite enjoyable . The hotel went to alot of trouble to decorate for Halloween - very festive it was. Food was excellent. 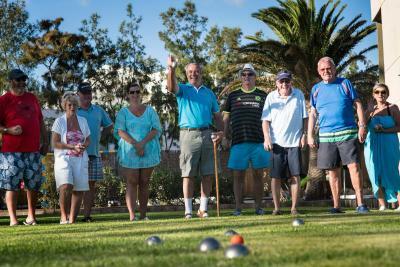 The location was one of the best in Lanzarote. The hotel had a spacious comfortable evening lounge where it was easy to mingle with other guests. All of the hotel is stunning! The facilities are very good & the staff are amazing... So friendly & helpful! Rooms are a little dated, however, very clean & comfortable... Looking forward to returning. Fantastic location, Super hotel with excellent views and lovely food. We keep coming back because we love it so much. 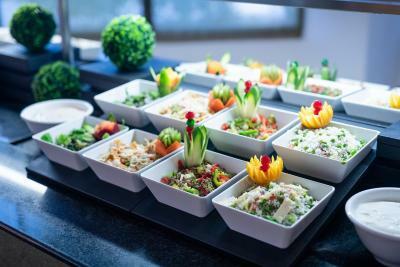 The food in the hotel was good and if you are not going all inclusive the location great, as there are lots of really good restaurants within a short walking distance, however we missed the loungers on the balcony which we had in the previous accommodation the week before. 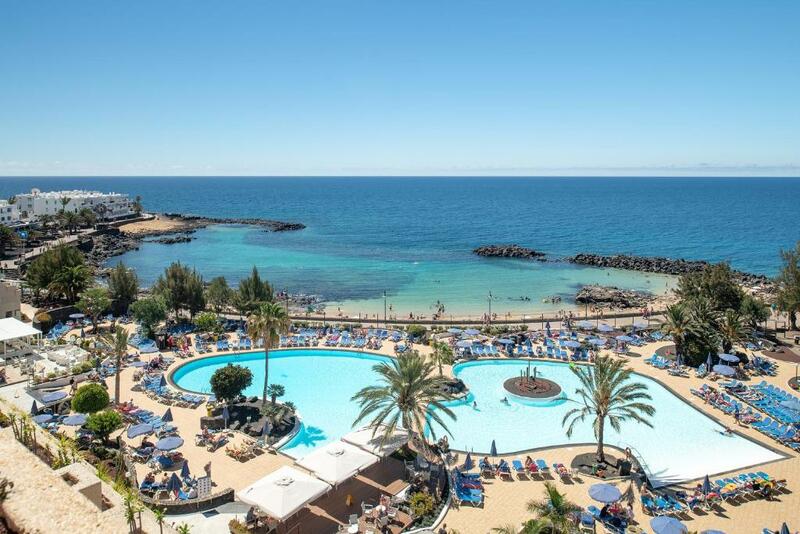 I was disappointed that no one could show me an upgraded room, which had I been able to and liked, I would have booked for next year as we are very fond of Lanzarote and visit almost every year in the Winter months. The breakfasts were good with plenty of choice. Rooms were lovely and very clean. Overall a very comfortable stay. Good weather was a bonus! 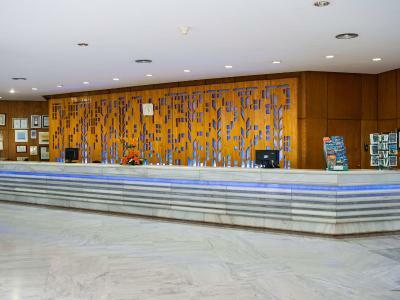 Grand Teguise Playa This rating is a reflection of how the property compares to the industry standard when it comes to price, facilities and services available. It's based on a self-evaluation by the property. Use this rating to help choose your stay! 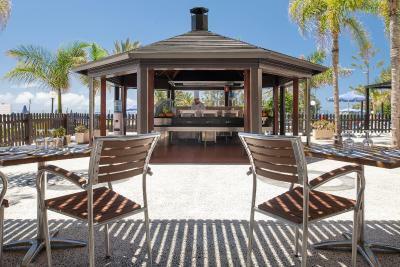 Grand Teguise Playa offers ocean views from its setting on Costa Teguise Beach. 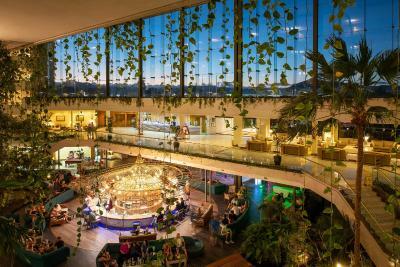 It features an impressive atrium with a botanic garden, a lagoon-style pool and rooms with balconies. 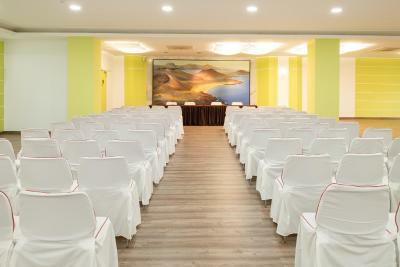 Accommodations is brightly decorated and air conditioned. Each room has satellite TV and a fully equipped bathroom. 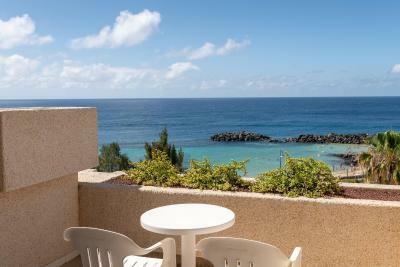 Most rooms offer views of the Atlantic Ocean. 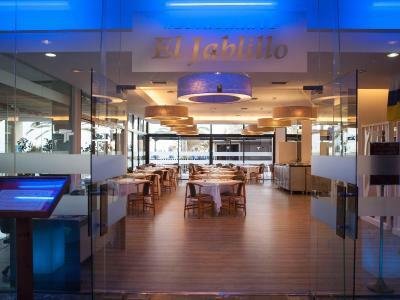 The El Jabillo buffet restaurant serves a European and American breakfast, and Mediterranean cuisine for lunch and dinner. 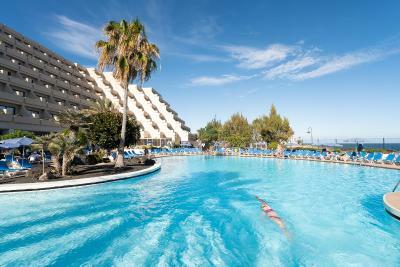 Drinks and cold snacks are available at the poolside bar, La Estrella. Guests can also enjoy a drink at the Los Alisios bar in the lobby. 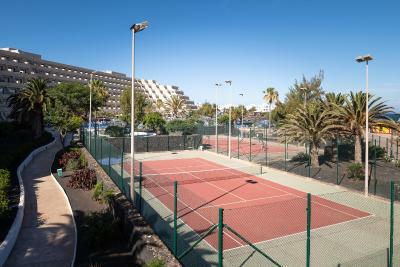 Guests can make use of Grand Teguise Playa’s tennis and squash courts. 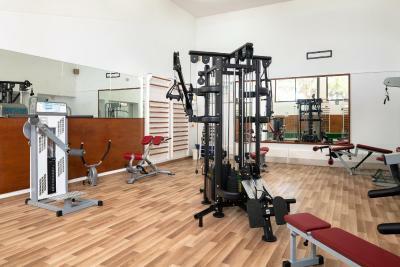 There is also a gym in the complex. When would you like to stay at Grand Teguise Playa? This air-conditioned room has a balcony with spectacular sea views. The private bathroom with bath tub includes a hairdryer. This air-conditioned room has a balcony with spectacular sea views. It features one double and one single bed, or 3 single beds. The private bathroom with bathtub includes a hairdryer. This air-conditioned room has a balcony with spectacular sea views. It features one double and 1 single bed or 3 single beds. The private bathroom with bathtub includes a hairdryer. This bright, air-conditioned room has a private bathroom with a bathtub and hairdryer. 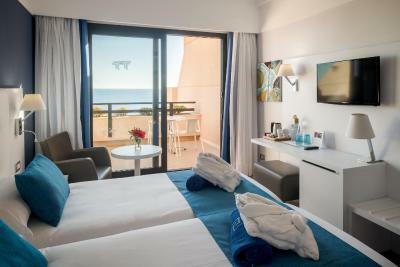 Located on the top floors of the hotel, this air-conditioned room has a balcony with spectacular sea views. The private bathroom with shower includes a hairdryer. 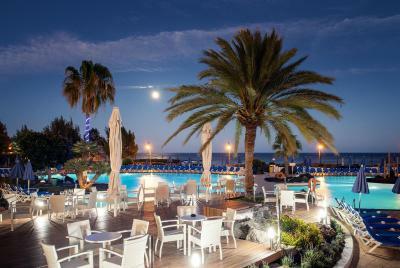 Located in El Jablillo's coastline, this beach hotel is specially designed for couples and families with children who want to spend magical under excellent weather conditions at the Canary Islands. WiFi is available in all areas and costs EUR 7 per 24 hours. House Rules Grand Teguise Playa takes special requests – add in the next step! 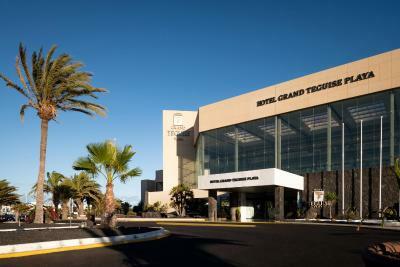 Grand Teguise Playa accepts these cards and reserves the right to temporarily hold an amount prior to arrival. Please note that during dinner time, flipflops, swimsuits and sleeveless shirts for men are not allowed in the restaurant. Please note that 1 hour of free WiFi is available in the pool area per day. Well we all enjoyed the food and while a week was an enough for all inclusive, as it was varied, not sure I could do more. A need for the rooms to be refurbished - old furniture, cracked tiles, scuffed doors, Static Shower Head with curtain in bath - flooded every time we used it - not good, having said all that it was clean and roomy and we all slept well. The staff were lovely and hard working and the entertainment very good. Food was definitely not four star and most of the time was tepid. Only the show cooking was hot but that was limited in choice To mainly veal/pork chops and a fish. Never even saw the entertainment team organising any events we join in with. Hotel was overall nice and in a good position with plenty of availability for sun beds. The menu choice for the evening meal. Pork and veal every evening. The entertainment lacked engagement with guests. 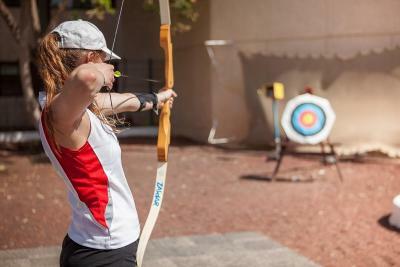 Not much you can do but some of the guests can be very loud, would be nice if they could appreciate that most people are not entertained by their inconsiderate loud brash behaviour.